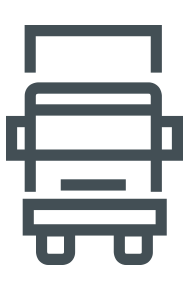 Support the development and implementation of projects designed to improve traffic flow and road access to truck transport in Greater Montreal, for the benefit of the greatest possible number of supply chain users. Contribute to the establishment of infrastructure, regulatory, and state-of-the-art technology projects to optimize transport and logistics operations, and improve the competitiveness of the sector’s businesses. The private sector demands fast, concrete and measurable results, and CargoM has delivered with initiatives that have been felt on the ground with impressive speed. Adopt, share and integrate the industry’s best practices and state-of-the-art technologies while meeting sustainability objectives. Implementation of the Pram-Est project, which measures access fluidity in Montreal’s east end by analyzing Ottoview electronic devices. The resulting findings allow us to work in collaboration with the Ville de Montréal as well as the governments of Québec and Canada towards the implementation of projects to improve traffic fluidity. Development of the SPI-LI Project (Information Sharing Project – Intermodal Logistics), through continued data gathering and analysis, as well as by adjusting the system to meet industry requirements. Ongoing collaborative work with the Port of Montreal, terminal operators and the logistics community to succeed in implementing a preapproved line project. Collaboration with the Ville de Montréal on the Intelligent Transportation Systems (STI) and integrated traffic corridor projects. Development of the CargoMobile technological tool to improve truck transport fluidity, available for cell phones and electronic tablets at app.cargo-montreal.ca.